Really work till blur d.
Posted on January 19, 2010 by Jian Akiraceo. 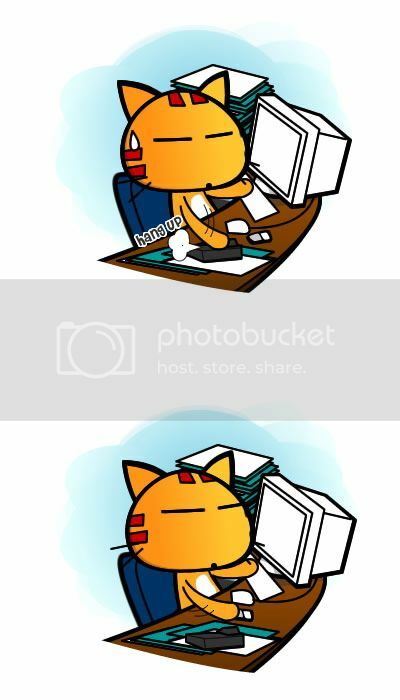 This entry was posted in Ofix and tagged comic, office, work till blur. Bookmark the permalink. The second confusion happened to me …. sometimes…. so I can understand how you feel… Totally…. LOLz….. Sigh.. i also work till blur….. 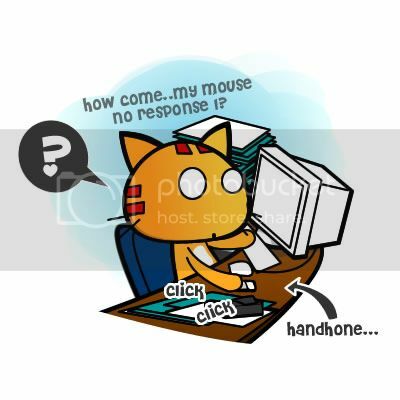 I guess that happens to everyone, hehehe..
the mouse thingy happens to me all the time…. Thats not blur laa..that is concentrating and hardworking…wahaha..
haha, wah lau eh…but it sometimes happen to everyone… you are too concentrating until didnt pay attention to surrounding… very good…. This is soooo true! Happened all the time. But I wasn’t working or anything like dat…I was juz reading people’s blog…so…read till blurr? haha! sometimes i do homework until blur……..
LOL the size too different lar!! hahahaaa, miao is so funny. JYJY!!! i know i know.. i was pressing my calculator when i want to make phone call.. huahaha..
blur chin! that’s hilarious! ROFL!! Maybe next post could be something to do with a phone spirit. Maybe its the phone spirit that off your alarm always, and rang during your work. Hehe. Wait, maybe if Wafu and Pafu playing trick on you! Have a break, have a Kit Cat…. Haha. U cud get an iPhone 😛 There us an app that can replace the phone as ur wireless mouse. and once I saw my lecturer doing the same thing while he’s giving us lecture. hahaha did she went “Hello” to the calculator? there’s time, i open my passenger car door and sit down. 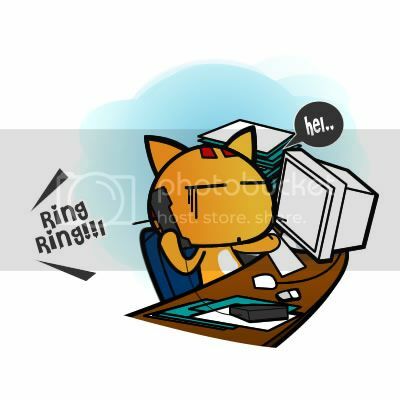 haha reminds myself, happen to me sometimes, when put handphone near the mouse..